Do you want to see all of these Torinos plus many, many more, including Torino toys, brochures and lots of other tidbits? Check out my Excite Community. The Torino fan wont want to miss this! 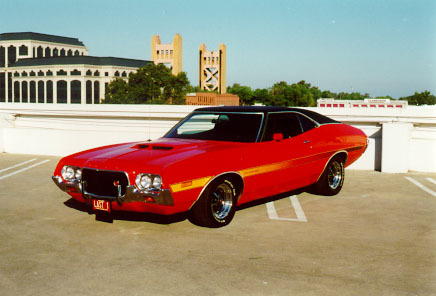 This is a 1972 Gran Torino. They maintained the "chubby" look they adopted in 1970. These cars may look "fat", but believe me, they are PURE MUSCLE! 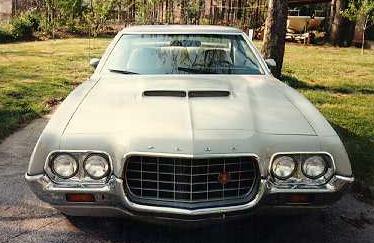 Here is another '72, only this is a "Sport" model. 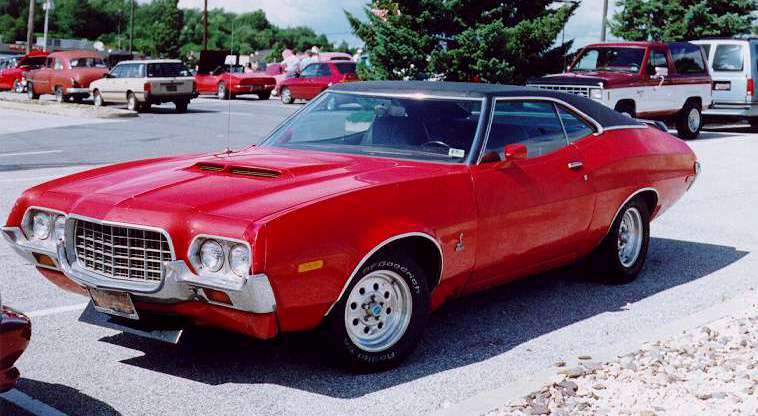 You will never see a finer '72 than this one! This is an awesome fastback. Love those Cragar SS mags! 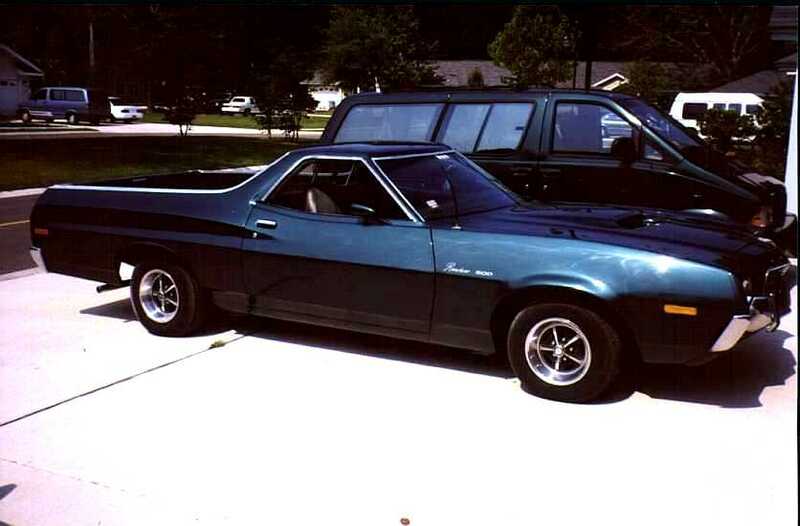 Todd Green from Alabaster, Alabama owns this fantastic '72 Sport. This is a beautiful '72. 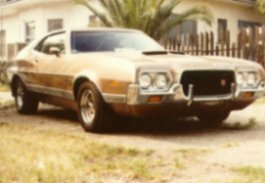 Michael from Carlise, PA, sent me this picture of his 1972 Gran Torino Sport. It is pretty well original, right down to the rims. I LOVE the colour! 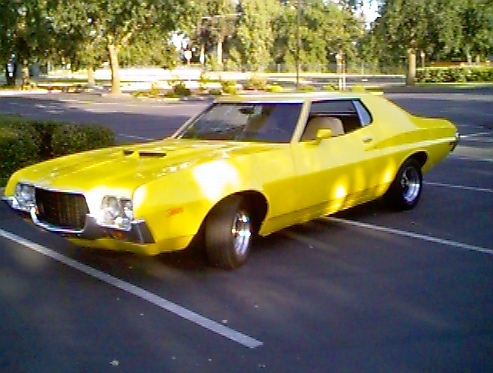 Dave Fritcher sent in this shot of his '72. Canary yellow and looking pretty good. It is still under construction, but look out! Kimberly Myers is the proud owner of this fantastic '72 fastback. What a mean lookin' snarl! 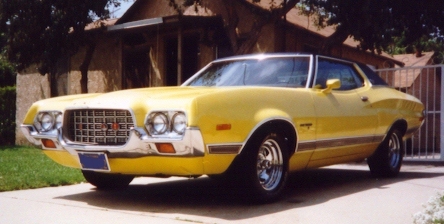 This '72 Ranchero belongs to Dennis Duck. Is it a car? Is it a truck? No need to decide! 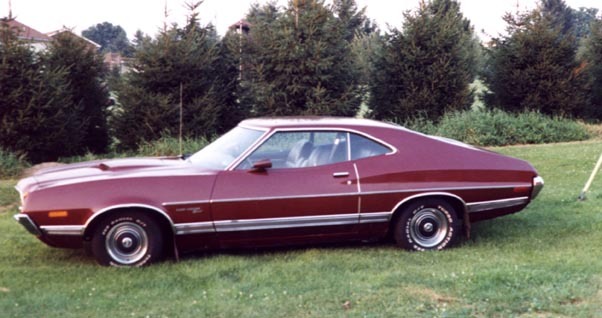 Like I always say, "Half a Torino is still a Torino!"